BizPack... a "Business in a Box to EXPLODE your income! ...from award winning United First Financial. BIZPack is a "Business in a Box"
You can use the BizPack tools in ANY business. BizPack is also a business itself!! New business - I need feedback here! Yesterday I was privileged to tell everyone about our new business aimed towards helping improve seniors' health and wealth. I've spent 40 years in the natural healing industry and was a licensed real estate broker, life insurance (TERM ONLY!) salesperson, and securities rep back in another lifetime, or so it seems, in New Jersey. According to a comScore research report, the number of people actually searching for products and services online increased by 21% in 2008. So the Internet is a growing trend and more and more of your prospects and customers likely to look for you online. It appears that a lot of people are just setting on the fence, not knowing when and where to get off. Today with market uncertainties and changing laws in Washington has created a lot of anxiety. Real estate has always been one of the best investments and Land has the best stability record of all. Collegiate Recruiting and Eligibility Process" What every HS player and their family MUST know! As it is with any process, it is important to know what you don’t know! The majority of High School athletes and their families miss the mark on the COLLEGE RECRUITING AND ELIGIBILITY PROCESS. While there are many reasons for this, the simple truth is that players and families FAIL from a simple lack of knowledge. 10 Twitter tools to effectively manage your followers, 25 of the Top Social Media Consultants you should be following, Top 5 Twitter Trends and more Social Media links to be added as we find them! Selling to big companies is tough, tough, tough - especially with the economy in turmoil. Winning business in the corporate market today requires fresh sales strategies, not worn out, manipulative sales training techniques. Listen to JILL KONRATH talk about how you can use the NEWS to create demand and get your foot in the door... ESPECIALLY with big companies! If you haven’t set goals for yourself, now’s the time to start. Research shows that people who set fitness goals are more likely to stick with their exercise routines and perform at a higher level than those who don’t. This simple process can invigorate your program whether you’re new to working out or simply want to tweak you current fitness objectives. 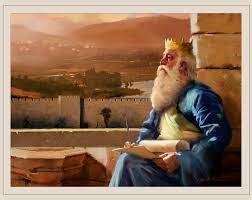 Will the Wisdom of Solomon Explode your Business? Twitter: Is this the social community for YOUR marketing campaign? Some people believe in scatter marketing. This is where you throw your marketing message anywhere and everywhere and hope it sticks. In my view, this is the way of marketing for those who lack knowledge or training. You need a proven marketing plan! You might qualify to get a short listing in the Orlando FilmBook for free.. but the deadline for the 2010 print edition is coming up. What IS the Orlando Filmbook? Only the #1 resource directory for members of the film, tv, and entertainment community here in Florida. If you have a business, or product, that serves the industry, or if you are part of the industry... go to their web site to get more info on how to get a listing in the book! More info & Event page: Click for "Back to Business"
Okay Bo, this is a pretty well known principle, why are you wasting my time with this? Well, give me a few more minutes of your time and I will explain. What does it really mean to fish where the fish are? I will explain throughout this post.